Staff selection commission (SSC) is the organization under the control of the Government of India to recruit staffs for many kinds of posts in various government departments. Staff selection commission established in 1975 and this organization is responsible for recruiting staffs for various posts in the government departments. This organization tasked with the work of carrying recruitment for Group B and Group C both technical and non-technical posts in the central government departments and various autonomous departments. Staff selection commission is one of the largest recruitment drives carried throughout in India. Because of the fascination of getting government jobs, every year more than lakhs of candidates appeared the examinations conducted by the SSC. SSC conducts many kinds of examination for all sorts of candidates such as matriculation, graduate, postgraduate etc. Hence, every people get a chance to get the government job based on his or her skill set and knowledge. A candidate can easily qualify for any SSC examination if they have knowledge of his or her own subject as well as keep an eye on the current affairs. In the market, you can get the model questions for SSC examination in the guide form so buy and make use of it. Have the habit of reading the newspaper daily so that you can easily come to all things happen in the country. These are all very useful for you to crack the examination. Before filling any application form of any SSC examination, candidates should need to read the instructions provided in the advertisement carefully in order to avoid application form rejection. This is because the data of all the candidates entered and monitored in Computers so once the data entered against the candidate then it cannot rectify or change. Application Form can type/hand written but it should same as the published and signature should put in all places wherever it needed. Combined Graduate Level (CGL) is the most popular examination conducted by the SSC. Every year, this examination conducted for graduates to recruit them for various posts of Group B and Group C in central government. A huge number of candidates recruit through the graduate posts listed here. This examination conducted in three stages such as preliminary, main, and interview for mostly Group B (non-gazette post). There is no interview for the posts of UDC, auditors, junior engineer, and accountant. Candidates selected based on their performance on their main examination. Combined higher secondary level (CHSL) is another popular examination conducted by the SSC to recruit the candidate for lower division clerk and data entry operators in different government organizations. The minimum qualification for this examination is 10th or 12th so the candidate should get pass anyone of their board examination. Every year nearly fifty-six lakhs candidates attend the SSC CHSL examination at different centers that located in various places across the India. This examination conducts in two tiers i.e. CHSL tier I and tier II. Both tier examinations are computer based examinations. SSC conducts three rounds for the CHSL examination i.e. CHSL Tier I (Objective Test), Tier II (Descriptive Test), and Interview. The Staff Selection Commission Madhya Pradesh sub-region is the government organization that formed to make recruitment in the Madhya Pradesh state. SSC MPR conducts SSC MPR examination. The candidates need to appear both examination and interview. SSC MPR issues admit card, hall ticket or call letter for every stage of selection. Candidates who qualified for the previous round can download the admit card for the next round. Candidates need to carry admission certificate at the time of examination because it is very important. This examination is the big opportunity for all people in the Madhya Pradesh state to get the government job. The staff selection commission conducts various SSC examinations across India. Every year, thousands of candidates recruited and lakhs of application rejected. It is a very difficult task for this organization to conduct a particular examination in all parts of the country. Therefore, SSC decided to make sub-regional departments for all major regions of India. Those sub-regions works under the SSC and all the important notification of SSC examination publish on the SSC official website. SSC CR (central region) also called as the sub-regional department of SSC. 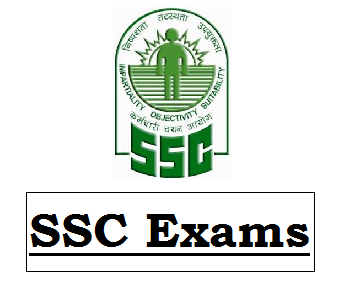 SSC conducts various examinations every year and hires the talented candidates into SSC department. SSC CR is the examination for various posts such as SSC CGL, GD, CHSL, stenographer etc. Staff selection commission recruits the technical staff of Group B via this junior engineer examination. This recruitment is done for engineers in the field of central water commission, military engineering services, central public works departments etc. This examination consists of only one written examination that followed by the interview for posts of Junior Engineers (JE). Every year, SSC conducts the national level written the examination for the recruitment of JE (Junior Engineer) for Civil, Electrical & Mechanical and other engineering groups. Selection of JE post done through the computer based online test. After the written examination, personal interview conducted for the eligible candidates. Multi-tasking staff examination (MTS) examination is conducted by SSC to recruit the subordinate staff for various posts in many government organizations and departments. The minimum qualification for this examination is that candidates passed the matriculation examination or other equivalent examination from the recognized board. Every year, many lakhs of candidates apply for this examination. Candidates need to attend the written examination that contains paper I (objective) and paper II (descriptive). Candidates who passed in this examination can get the job after the verification of documents. Candidates check the official website of SSC for the announcement of any SSC examination. Apart from the above-mentioned examination, SSC conducts many kinds of examination for the various posts for different government departments.